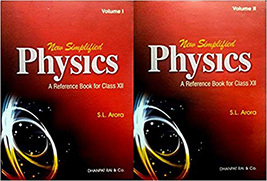 Best Reference Books For Class 12 CBSE Physics, Practice Question Paper 2019: Picking the most suitable book for ourselves sometimes appear to be troublesome. As soon as we reach class 12th, there is so much of hustle and bustle in our minds and being CBSE students it creates more jitters to us. When I reached class 12th, i too had encountered with the same problems as you all must be facing right now over the selection of the most suitable book for you. We take so much of pressure that we go to teachers, seniors and other fellow students for advices, but what we end up with is again in the state of dilemmas as every one has a different opinion for the book. If one is telling all the positive points about book then it doesn’t mean that the other person will also respond positively. We cannot say that they are wrong or right, it was their perspective for the book, some of them found it very easy to understand, whereas some did not get it. So, it is just building understanding with the book. Most of us aim at appearing for the competitive level examinations like NDA, IIT (JEE), NEET, and many other medical and engineering entrance examinations, so, particularly we also cannot only rely totally upon NCERTs, although this is the main book and at last the question papers whether it is for board examinations or competitive level examinations, every single question will also be framed from this book only but it is not going to help us with details information about any topic, although the book provides us with everything but some where it lags clarification of topics which is must to know what it is all about and there we have to purchase reference books by any how. Now it is again a confusing situation, so many authors are there, but who will be the most suitable for me so that i can completely rely upon him because it is very important for me to understand who can provide me with the best guidance or with whom i can develop a strong bond of thinking ability. Once you’ve built that bond there is no such topic that you cannot understand in the language of that author. This article is all about with providing you with a list of all the best reference books that you can purchase. As this is your course book then of course it should be your first choice as at last you are going to find that questions are framed from this book only. It will tell you exactly what all topics are going to be covered. 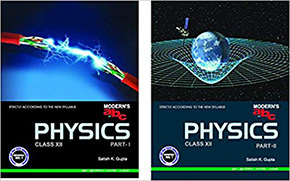 So, it is my personal suggestion to you that first go with NCERT book of physics and see what all topics are there. Practice all the questions that are there in the book. As every book has its pros and cons, so let us discuss that also as nothing should be left to know. Pros: This is the main book so question paper will finally be set from this book. Exact syllabus is given in the book that what all you have to study from your examination point of view. Provide you with exercise questions once the chapter is over, so if you solve those questions, half of your problem is solved and for those who completely rely on NCERT, 80 – 90% marks they can easily score if they study only this book thoroughly. Cons: NCERT although is sufficient, but when we talk about detailed explanation of the topic, there it lags behind, although book has covered every single topic, but it needs deep understanding with the book, that somewhere we are unable to build. So, therefore reference books are must if you want to study more and more questions. We are providing you with a complete list of some good reference books that will surely help you to prepare for your boards as well as competitive level examinations, so that you can clear your exam in the very first chance only. But let me tell you only buying the good reference book is not going to help you, you will have to work really very hard, practice all the questions that are there in the book thoroughly, read all the theory portion with complete dedication and understand all the derivations, do not just mug them up, i have seen a lot students who are in the habit of mugging up and during the time of examination they simply forget what they mugged up. So, be patient, it will take time to understand everything but go on, do not give up easily and you will definitely get success. So, let’s discuss some of the good reference books, that will help you a lot. You must had noticed mostly every one recommend us to purchase Pradeep’s, as seriously it is a very helpful book to all the board aspirants and not only boards, it will help you for your competitive examinations. If you have Pradeep’s Publication book which is written by K.L. Gomber and K.K. 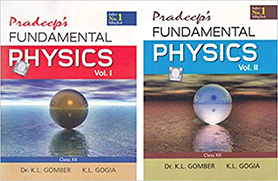 Gogia for Physics, trust me you do not need to buy any other book, as it is enough with NCERT book to make your concepts clear. Pros: Okay, so if we talk about the positive sides of the book then the list is very long, but let me any how tell you all the positive points of the book. You just need to understand every single thing of the book thoroughly. The book not only will help you to understand NCERT’s concepts, but it is a complete bank of all the questions that have great chances that you will see them in your physics question papers, so it makes your preparations for boards very easy, not only this but there are a lot of other questions given too for practice, NCERT exemplar questions are also there, HOTS (Higher Order Thinking Skills) questions are there, not only this but you can also prepare for your competitive examinations from this book. Cons: It is very difficult to figure out negative point from a book providing with a complete package of study material, but if we have to talk about this, then there is just one thing that i can say if you preparing just for your boards with great understanding of NCERT’s concepts and have no such plans of appearing for competitive examinations then don’t buy this book, as book is full of questions and thus it will become hectic for you that which questions has to be given more preference and which not. So, in that situation you can avoid buying the book and pay your full attention towards NCERT. Being a Modern Publication’s book and written by Satish K. Gupta ABC is also among one of the good books that can be recommended to students who are going to appear for class 12th examinations. Book provides you with understanding of theoretical portions. Variety of questions you will see in the book that will make your concept building more stronger. Pros: If you are aimed at preparing for competitions also then i would recommend you do purchase the book as it will prove itself to be a best guide in concept building. Theory portion is so well explained in the book, that you will find it easy to understand the topics. Cons: Nothing is perfect in this world, everyone has some imperfections in them, and so as the books too have. Again i will say you that if you have no such plans of appearing for competitions then just restrict yourself towards your course book, as book is so much piled up with the theory portion and extra knowledge which is not needed if you are preparing just for your board examinations. For that, if you will just make your NCERT concepts strong and solve all the exercise questions by yourself and with complete dedication then it is enough to score 85-90% marks in your exams. Now S.L. Arora is somewhat we call a decent book. It is a balanced book, neither you will find a complete bank of questions here nor less. It is a book that you can purchase for yourself if you want to prepare for your board examinations. Pros: As i have told you earlier also that it is a balanced book, neither too much of theory is in this book nor a complete ocean of questions. A complete balance is there, so if you are restricted just to your board examination and also you are not finding sufficient for yourself, then this book can prove itself as ideal to you. Basic to moderate level of questions you will find here which are enough for your board examinations. Cons: If you are planning of participating in competitive examinations also, then this book will not help you much, although book is very good providing you with enough knowledge but the kind of practice you need for JEE or NEET or AIIMS and many more, then there you will have to go with other books. A good book will help you with solutions for every problem and H.C. Verma is such a complete book that will provide you with everything. Not only your boards but it will also help you in preparing for your competitive exams by making your base strong. The only condition is that you will have to put all your concentration towards the book by burning all the mid night lamps with just one aim that you have to clear your exams with good marks. Pros: This book along with NCERT is enough if you are focused towards your competitions also. Book contains high level conceptual and numerical questions and if you will practice them, no exam is there that you cannot clear. Just study by putting all your concentration that you have to do it any how. This book is like icing on the cake, if you study this book regularly and practice all the questions thoroughly then on one hand you are getting prepared for your board examinations and on the second your base is getting strong for competitive papers also. So, if you want you can purchase this book for a brighter future. Cons: Just one thing about the cons of the book is that if you are concentrating completely on your board examinations then do not purchase this book, although there is no harm of purchasing, but there is no such use of the book, you can prepare for boards from your course book only. So, choice is up to you. Once you are done with your course book then do practice from sample papers, practice papers, previous year question papers too. It will make your base more strong and you will get a clear view about the standards of question paper or will also tell you that at what level you are, either you are clear with all the concepts and able to solve all the questions or there is some more practice needed. So, these papers are a lot of use. Here i will be telling you what all papers you should buy to give yourself a quick revision of all the topics. Arihant’s “All in One” physics is the best book i can suggest you for practice. This book has a collection last ten years questions with solutions that were asked in board examination and this is very important to have glance on all the questions that were asked in previous years. Full mark’s Examguru is another excellent book for last few days preparation. All you have to do is practice all the questions in the book thoroughly and its important to understand the concept and pattern of all the questions. One of the most helpful books for the preparation of board examinations is Together With. Such a great collection of questions it has, that if you practice them if all your zeal, you will surely get good marks. You can even purchase Oswaal’s Physics and can practice from this book too, this book contains all the questions that were asked in last previous years and if you practice them well, there could be some questions that asked in repetition and will increase your confidence level as you have practiced same type of questions from the practice book. This was the collection of some good reference books and practice books. You can purchase any of them and practice all the questions these books contain thoroughly. One more thing if you are just concerned about your board examinations as we understand that many of us rather than going for high level examinations instead go for plain B.Sc courses from some good colleges. So, these students if they are not willing to buy reference books, can even purchase practice books. It will help you the same way, all you have to do is work over your concepts. Once your basics are strong you do not need to worry about anything, you will solve the paper anyway. Physics is such a subject that needs complete concept building – theoretically as well as numerically. We do not know whether numerical portion will strike us more in the examination or theoretical. By both ways your concept should be clear for Physics. Every single topic you should feed in your mind because sometimes questions are randomly asked from within any topic and mostly these are 1 mark questions. These type of questions seems bit complicated that we get confused, was it there in the book?, and yes it was, the portion where we lag was that we did not pay full attention to the topic. If i take out the average, 70/100 students are there who fail to solve these questions. Don’t panic, i am not making you feel afraid of the examination but introducing you with the reality that questions are asked this way also. Good understanding with the topics and chapters is the biggest requirement of this examination so that you do not fail anywhere. Numerically all your concepts should be clear, you should know every thing like how conversions are done, which formula you have to implement where, all should be there in your mind. It seems somewhere difficult right? You all must be thinking how we can prepare this much amount of syllabus. Let me tell you the fact, if you will put things for tomorrow then yes it will completely be impossible to cope up with the syllabus, but if you start your preparations from today onward only, this is a guaranteed statement that it is going to be very easy for you not only in your board examinations but competitions too. So, let us know what all books you should purchase to make your concepts clear. Hope the article was useful to you. If you have any queries you may drop down a comment below. Thanks for reading and good luck.